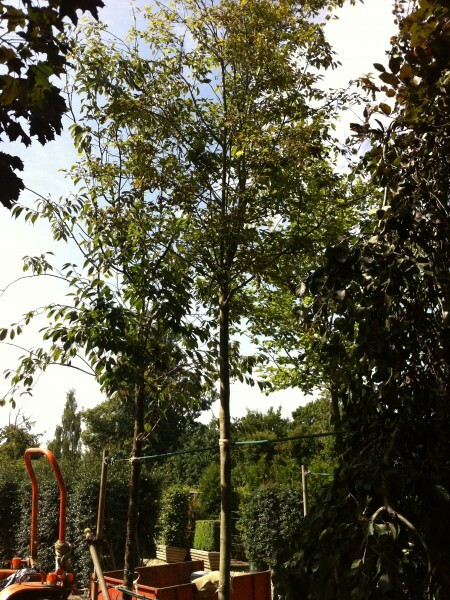 Amelanchier arborea Robin Hill is a compact tree that provides a variety of interest and beauty throughout the year. It blossoms in spring with profuse pink flowers that gradually turn white, with berries following later in the year. The Juneberry’s foliage begins life as a coppery red, which becomes bright green by spring, finally finishing with a strong scarlet shade before they fall. Virtually no maintenance is needed for this tree, making it ideal for all.